Podcasters: Get 500 Free Impressions! Give Listeners. Get Listeners. Help A Podcaster Out. Do you know what is the BIGGEST challenge for all new Podcasters? It is Finding New Listeners. Finding listeners and getting your show in front of new audiences is hard - even for seasoned podcasts, because podcasts after all, are not a very viral medium. So when you discover a great podcast, you are generally not in a great position to tell someone about it. A few hours later, you are back at your computer, but are you really still thinking about sharing that podcast on Facebook? No! You have already forgotten about the show and moved on to other important things - like watching cat videos, catching up with other people's birthday- and vacation photos, reading somebody else's extended rant, or simply arguing about politics or your favorite sports team. How many podcasts have you ever listened to, and how many have you actually gone out of your way and recommended to social group or friends? Exactly! You probably said "Zero". Podcasts are simply NOT a viral medium. Only the biggest and baddest podcasts and "Pro" casts get all the press, all the social juice and word-of-mouth, because those podcasts also happen to have a large platform powering them - and a ready-made, large audience that shows up ready to support the show even before a single episode has been published! The biggest shows get all the love. More people hear about it. Then they tell others because the shows are popular. That brings in more listeners. Who tell more people. And so it goes. Not only do the rich get richer here, but the poor get way poorer. So what can you and I do? What about us little guys? Your show is a diamond in the rough, except, no one is digging. For most podcasters, constantly getting your show in front of new audiences is a huge, ongoing struggle... unless of course, you are already a celebrity and you have a legion of fans and followers - and an email list. But what if you don't have a platform? Or a social following? Or an email list? Where do you even begin to find people who will give your show a listen? That's where KissMyRSS.com comes to your rescue. Every time you visit this web site - KissMyRSS.com - a new podcast is shown at the top of the home page (also shown at the top of this page). That means, if you submit your show, you too will get a chance to get in front of thousands of new listeners - for FREE! Every page refresh gives the visitor a new show to try out - and that show could be yours. You get a fair and equal chance to get in front of a new audience. And you can now use this power of discovery for your own show - for FREE! KissMyRSS is different from anything you've ever seen. With most Podcast directories - like iTunes and Stitcher - the only way to be found is through the search results. Sure, some of them offer a "New & Noteworthy" type of discovery feature for new podcasts - but even those are either hand-curated (like iTunes' N&N), or there's some kind of rating system built in. Like to show up in search results, your show has to meet certain qualifications. Or, to show up high in the search results, you must be getting certain results. And forget about showing up in the top 150 of iTunes when there are tens of thousands of shows in your category. And then there's the rating system: How many downloads, how many ratings and reviews, how many subscribers, etc. It is literally impossible for most new podcasters to get their show in front of new listeners, because no podcast directory makes discovery as simple and as much of a "no-brainer" like KissMyRSS. If other podcast sites are "Capitalists", then KissMyRSS is a "Socialist": "Spread the wealth!" is the motto here. So yes, whether your show is getting 10,000 downloads or 10 downloads, you have an equal and fair opportunity as every other podcaster to get on the home page. Sign up ﻿﻿for﻿﻿ a free account today and get 500﻿﻿ ﻿﻿free impressions for your show. Every refresh gives you the opportunity to uncover a hidden gem. With every display of your show, you can discover a new listener. How Does It Work For Podcasters? Submit your podcast: It's free! Get 100 500 Free POD Credits (POD = Podcast Of the Day) for your podcast when you sign up for a free membership. (Each time your podcast is featured at the top of the page with a page refresh, it uses 1 POD Credit). Simply by signing up for free, you can potentially get 100 500 new listeners, as your podcast is shown to visitors to this web site. Your podcast enters our Collection (list of podcasts submitted by podcasters like you). KissMyRSS.com home page (this page) displays a podcast from the Collection every time this page is refreshed. The shows are picked in a "True Round-Robin" manner. So if the Collection has 1,000 podcasts, then with each page refresh, one podcasts from the Collection will be displayed, in sequential fashion. So every single podcast in the Collection has an exact and equal opportunity to be heard by a visitor to this web site. After you sign up, you get a special referral link that looks like this: http://KissMyRSS.com/?a=1234 - where 1234 is your user id. Promote your referral link to others on Facebook, Twitter, other social media, and even to your email list and web site visitors. Just don't spam. For every single click that your affiliate link gets, you earn 1 Free POD Credit. So if you send 10 visitors to this site through your affiliate link, you earn 10 POD Credits (home page displays) for your own show. 1 Click on your link = 1 POD for your podcast. ​Viral Spiral: You not only earn POD credits on your own referral link clicks, but you also earn 20% of the POD Credits from those who you refer. So you can keep earning POD Credits from other people's efforts. Viral traffic at its best. You can earn POD Credits in other ways too. See section below. How Can I Earn More PODs? 100 500 FREE POD Credits: Sign up for a Free Membership (Free credits for signing up is bumped up from 100 to 500 only during launch. After that, it will revert back to 100). 1 FREE POD Credit: Per visitor who clicks on your referral link. 30 50 FREE POD Credits: If that visitor signs up for a free account themselves. 1 FREE POD: Bookmark your own referral link, and then visit it each day. Better yet, make it your home page in your browser! You get 1 POD each time you visit the link yourself. Only the first visit per day earns you a POD Credit. But feel free to visit the site any number of times a day to support other podcasters and their shows. [VIRAL SPIRAL] Earn POD Credits from the efforts of those you refer. Get 1 FREE POD For Every 5 POD Credits earned by those YOU REFER! So if you refer 10 new free members, and they promote their referral link to others, then for every 5 new visitors THEY refer using THEIR link, YOU get 1 free POD Credit. That means, the more new members you refer, THEY do the work, and YOU keep earning POD endlessly... from THEIR efforts! And it's all FREE! No. KissMyRSS.com is a completel free service. Join for free and get your Podcast in front of a new audience and potential new listeners and subscribers. What happens after I join for free? You get 100 500 FREE POD Credits (POD: Podcast Of the Day). 1 POD Credit is used every 1 time that your podcast is displayed on this page at the top. Obviously, you will run out of POD Credits at some point. 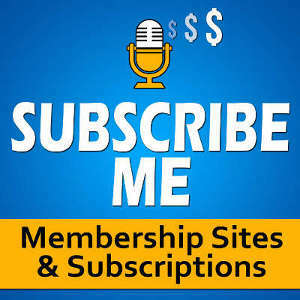 So if you want your podcast to keep showing up at the top of this page and discover new listeners, then you can earn more POD Credits simply by promoting your special referral link on Facebook, Twitter, your web site footer and sidebars and on your podcast and even to your email list. And for each click on your link, you earn 1 free POD Credit. Which means your podcast gets 1 more shot at a new listener, potentially a new subscriber and maybe even a life-long friend, fan and customer! See "How to Earn More Pods?" section. How can I turn a "Visitor" into a "Listener"? When a visitor arrives at this page, you literally have under 10 seconds to get them interested in your podcast episode. If your podcast name and title don't quickly pique their interest, then they are just one page refresh away from checking out a different show. So be sure to use your podcast name and title effectively to attract attention and get them to click "Play". Can I use this for my Podcast clients? SPONSORSHIP: I don't care about promoting my link. Can I simply buy POD Credits and have my Podcast show up at the top? Can I advertise on this site? Yes, absolutely! If you don't care about promoting your link to earn POD Credits, you can simply just buy POD Credits outright. We call it a "Fast Pass". Can I click on my own Special Referral Link to get POD Credits? Yes, you may! In fact, we encourage you to visit your own special referral link at least once a day. For your first visit each day, you will earn 1 FREE POD Credit. Subsequent visits during a 24 hour period will not earn you any new pod credits, but you can still visit the site regularly through out the day to check out other new shows and help a fellow podcaster out. Are "Credits" and "Listeners" the same? No. A POD Credit means your podcast episode gets a chance to be displayed once on this page, at the top, on a "True Round Robin" basis. But just because your podcast is shown to a visitor, doesn't mean they will play it. So if they don't play it, then you didn't really get a new listener. But this web site is not about gaming stats or faking listeners by doing crazy things like auto-play. We do not guarantee listeners or subscribers. No shenanigans. KissMyRSS gives your podcast a great chance at finding new listeners. And that is our promise. Of course. This is totally white-hat. No shenanigans, no gaming of your podcast. It's totally up-and-up. Remember, this does not even involve iTunes. This is playing your episode MP3 file directly on this web site. So there isn't any gaming of iTunes or any other such nonsense. Totally legit, clean, legal and ethical. If the visitor doesn't click play, you won't even see any downloads in your podcast host. Do I have to promote my own show? Can I donate my credits? No, you can promote any podcast - you just need the Podcaster's permission to do so, that's all. See the section to your left about promoting Client Podcasts. Also, if you don't care about creating your own account, you can just take the referral link of someone whose podcast you wish to help, and then promote their referral link. So that way, you do the marketing, they get the credits (and the listeners). * If you have 1 POD Credit, your podcast will be displayed on the home page once. So 500 Free POD Credits means your podcast will be shown 500 times to 500 visitors. Special offer of 500 Credits during Beta Launch only.